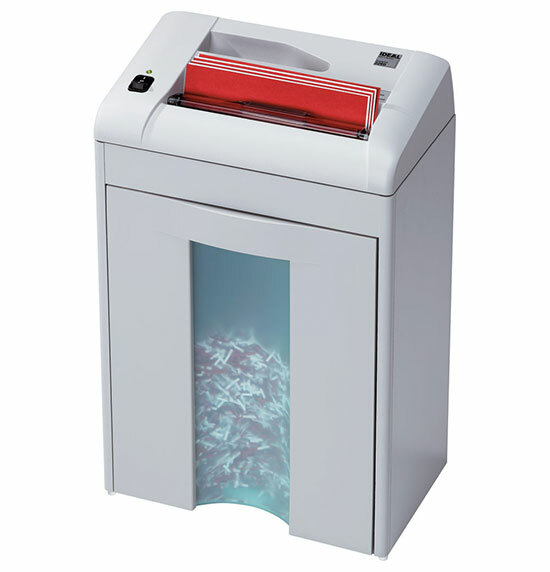 Compact document shredder with professional features. Safety flap: Robust and durable: high-quality paper clip proof cutting shafts with lifetime guarantee under conditions of fair wear and tear. Multifunction switch: Robust and durable: high-quality paper clip proof cutting shafts with lifetime guarantee under conditions of fair wear and tear. Removable shred bin: With large window showing fill level and magnetic switch for automatic stop if the full shred bin is removed (cross cut).